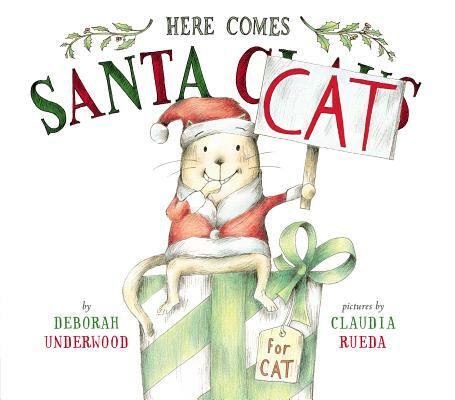 Just in time for the holidays—here comes Santa Cat! From the author of The Quiet Book and Here Comes the Easter Cat comes a hilarious holiday adventure! Cat took on a bunny in Here Comes the Easter Cat, but now Christmas is coming, and Cat has a hunch he's not on Santa's "nice" list. Which means? No presents for Cat. So he tries to be good, but children, it seems, aren't wild for his brand of gift-giving. Still, Cat might surprise himself, and best of all, he may just get to meet the man in the red suit himself—and receive a holiday surprise of his own. Fans of Pete the Cat, Splat the Cat, Bad Kitty, and Mo Willems's Elephant and Piggie series will delight in this holiday treat. A great stocking-stuffer or holiday gift—read it at Christmastime and year-round! Deborah Underwood is the author of Here Comes the Easter Cat and the New York Times bestseller The Quiet Book. She lives in San Francisco, CA. Claudia Rueda is a full-time illustrator and lives in Colombia.